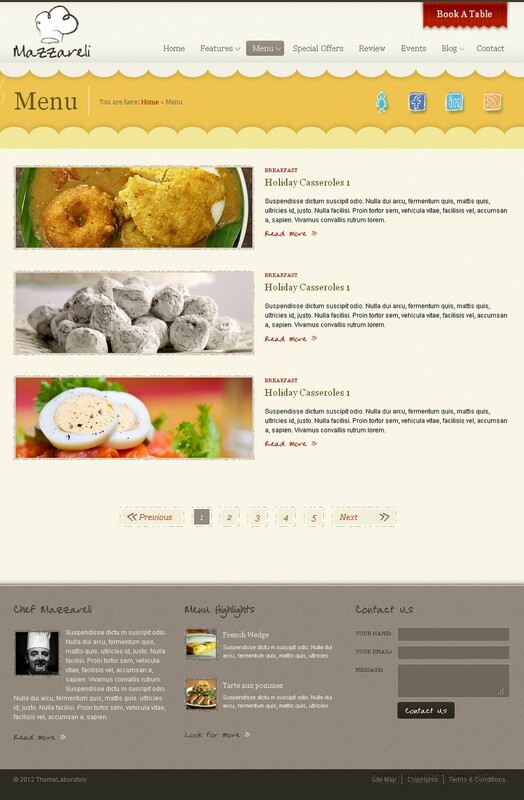 Mazzareli is a HTML restaurant template created by Theme Laboratory and featured at ThemeForest. 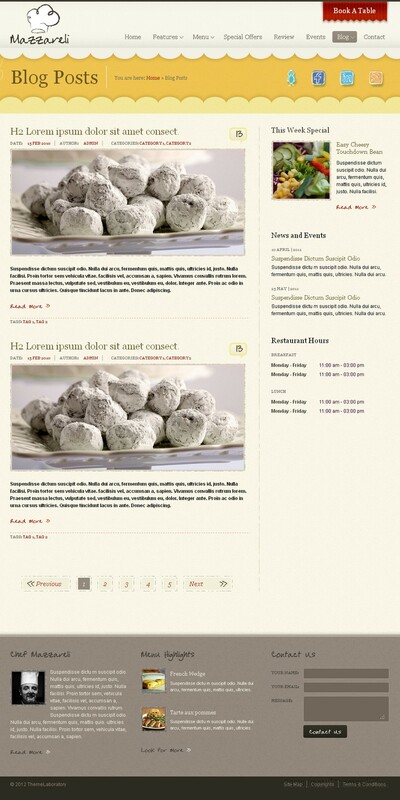 It is very adjustable and if can be used as a HTML cafe template as well. This is a very well organized theme for any food related business. 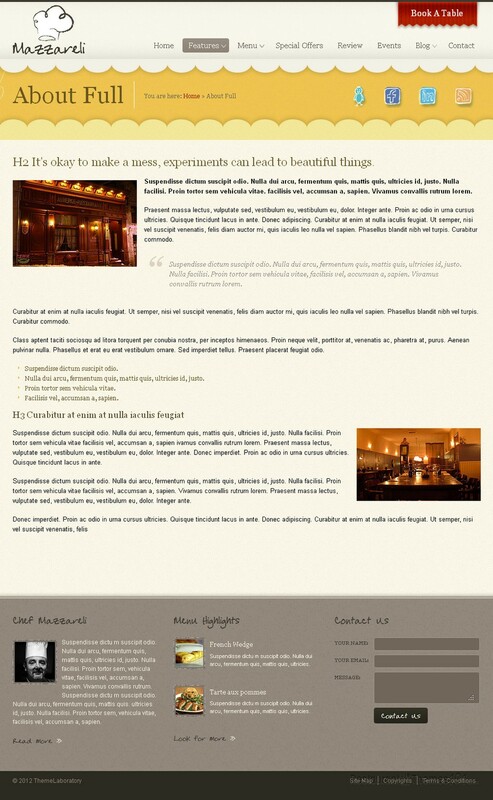 You can quickly create a great looking, fully functional website with Mazzareli. The layout looks very cute, with nice set of colors, and you will be able to choose out of several different color schemes. The homepage features a big slider where you can out photos of your delicacies and attract the attention of your readers to them immediately. 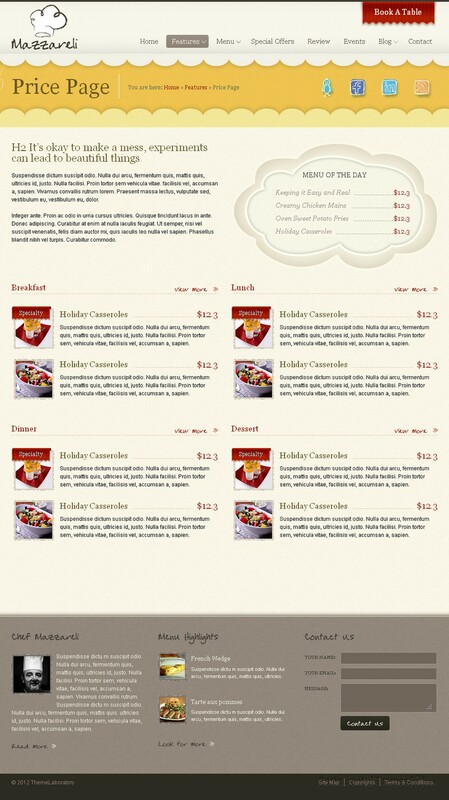 Right under the slider is a place where you can add thumbnail photos of your favored meals, along with teaser text and by clicking on it, your visitors will be redirected to a full content page where you can tell them all about that dish along with photos attached and even a full recipe, if you want to. You can present your chef to your visitors and place a small thumbnail photo on your homepage, and if they want to, your visitors will be able to read more about your staff by clicking “read more”, as they will be redirected to a page where your chef can present himself along with a photo. The template includes a nice, functional contact form which can be placed on the homepage and your readers will be able to easily send you an email right there using the simple form. You can also display your working hours and present your upcoming events on your homepage, along with short event descriptions. Reservations are very important for a restaurant website, and your customers will be able to book a table on your website with just few clicks. 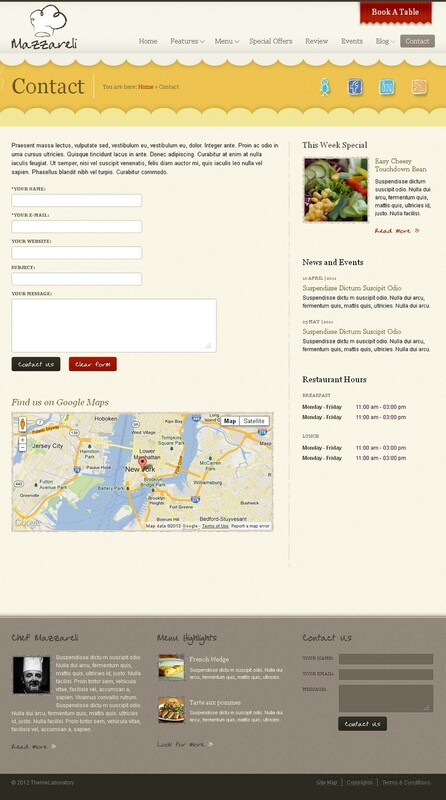 The template features Google Maps placed in the contact area, so everyone can easily get directions to your restaurant. Mazzareli is very well documented and it comes with layered PSD files included. 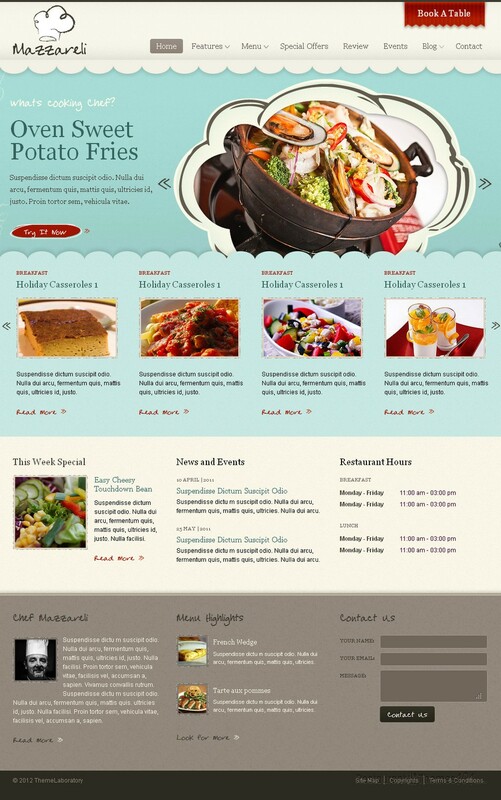 Besides this HTML template you can buy it also as a WordPress restaurant theme.